On May 14, CNN host Fareed Zakaria offered a fiery secular Sunday sermon declaring that President Trump is a "danger to American democracy" and guilty of "gross violations of the customs and practices of the modern American system," and that only the news media can "keep alive the spirit of American democracy." 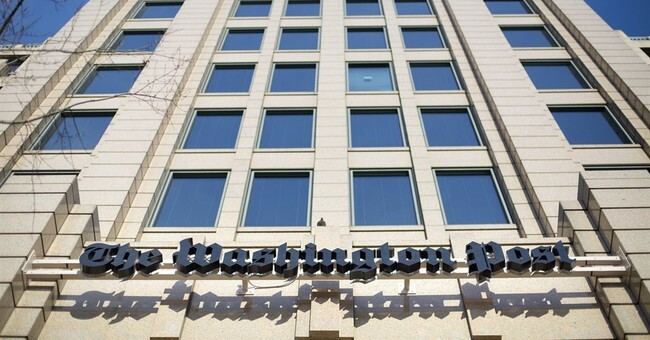 On Monday, the Washington Post offered another arrogant serving of the media's idea of "democracy" and "news." It loaded up a story full of anonymous "current and former U.S. government officials" with the headline "Trump reveals secret intelligence to Russians: Highly classified information on ISIS." Trump's national security team denied the Post story, which, as usual, doesn't do a bit of good. The media instinctively disbelieve everything Team Trump has to say. If the Post account is correct and the president compromised intelligence operatives and damaged alliances to impress the Russians, that is not just noteworthy -- it's TNT. But what exactly did Trump disclose? Once again, we don't know what. We don't even know if. How many times must we attend the same movie? As we've seen so many times since Trump became president, these are anonymous leaks coming from nameless, faceless people whose motives might be pure but could be poisonous. One thing we do know: If news is defined as a quantifiable event, this isn't "news." In the current hothouse environment, with liberal media that define Trump as the antonym of democracy, the public should be wary of anonymous sources. This is especially true today. Newspapers that crusaded against Trump in their pages -- both news sections and editorial pages -- simply cannot be trusted. Theirs is not the pursuit of truth; it's the hunt for Donald J. Trump's scalp. Earth to the Post: Your new motto is "Democracy Dies in Darkness," but anonymous sourcing is darkness. Every source who hides behind a wall as he tries to ruin other people's careers is a self-serving coward with a personal or political axe to grind. Without knowing an identity, the public has no way of telling anything. It's idiotic for the press to demand transparency in government at the exact same time it rewards government officials who refuse to be transparent themselves. Journalists pat themselves on the back that they would never be "stenographers to power," but they're worse than that now. In their zeal to destroy Trump, they've become stenographers to anonymous power. It's also a pattern. Since Trump won the election, the Post has been caught in a string of over-aggressive anti-Trump stories that were based on anonymous sources and turned out to be untrue. Just last week, the Post reported that Deputy Attorney General Rod Rosenstein offered to resign in the wake of the firing of FBI Director James Comey. Rosenstein denied ever doing such a thing. The Post also reported that the FBI asked for additional resources for its probe of possible Trump campaign collusion with the Russian government. The acting FBI director, Andrew McCabe, testified under oath that the report was not true. It's a shame Congress doesn't get to put the media's anonymous sources under oath. There's an obvious reason why the public holds journalists in low esteem and rejects the notion that they are watchdogs of government. Journalists are not trying to serve the voters with objective information. They're constantly trying to push, prod, shame and trick voters into their own political agenda, using whatever convenient information, misinformation or disinformation will serve their cause. As one consumer put it, they don't like how the press facilitates "government acting like the Wizard of Oz," being all full of frightening bluster from behind a curtain. The media have something to hide. If we knew all the party affiliations, political contributions and secret agendas of their anonymous sources, it might be even more obvious that their reporting is much more advocacy than journalism.